It is my intention to make each recipe that was submitted for #ISW2015 and so I started in November 2015 with the recipe from Celia who blogs over at Fig Jam And Lime Cordial and who hosts our monthly in my kitchen posts. For these buttermilk scones I followed the weight measures (1 heaped teaspoon of baking powder for me was 7g), and Dave declared these to be delicious. I served them with my marmalade and very thick cream. They made 5 large scones, and one mini one for testing. I received a lovely goody bag from !Khwa Ttu which included a toffee from Darling Sweet Toffee. I was told by one of the locals that they do an assortment of flavours. I was sent home with the orange and pomegranate. 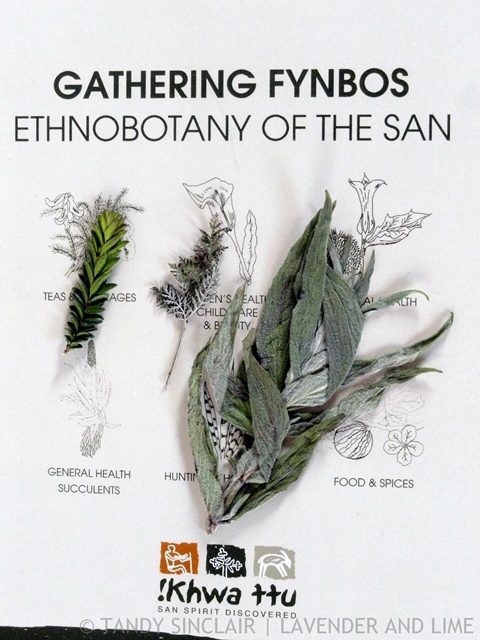 And a book on ethnobotany which I have loaned to a friend who has an amazing indigenous garden. 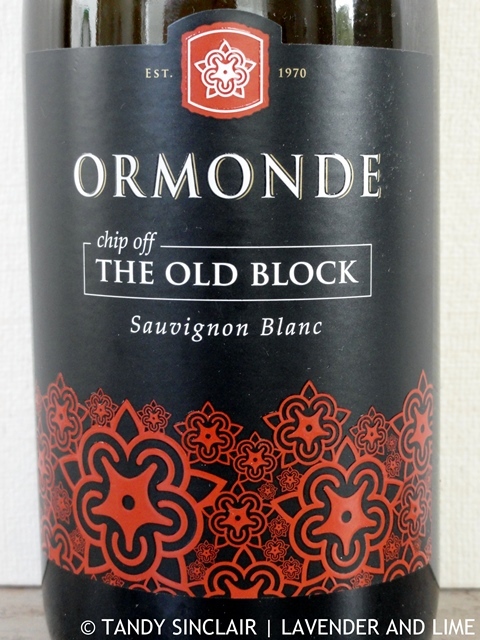 Plus a bottle of wine from Ormonde. 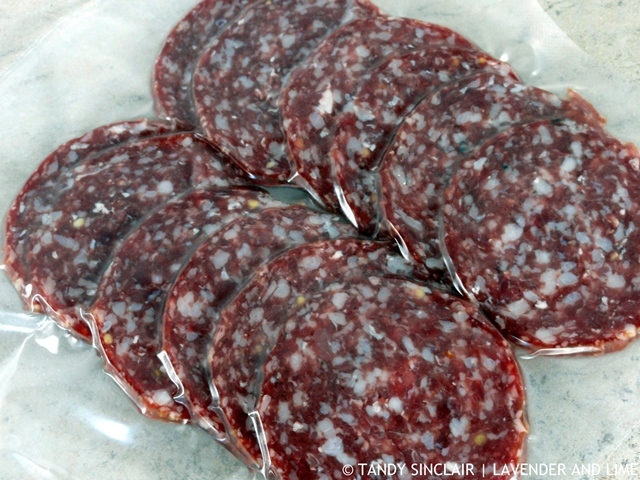 And some venison salami which comes from the animals hunted on the reserve, and made onsite. I have had my copy of Perfect Parties in and out of my kitchen as I test recipes for review. These are 4 of the plenty sweet potatoes that were in my garden and which made their way into my kitchen to be turned into crisps and soup and taken to work to be enjoyed for lunch. venison salami sounds very interesting. my hubby would like that being a huge salami fan. how fab growing your own sweet potatoes. The scones look lovely. 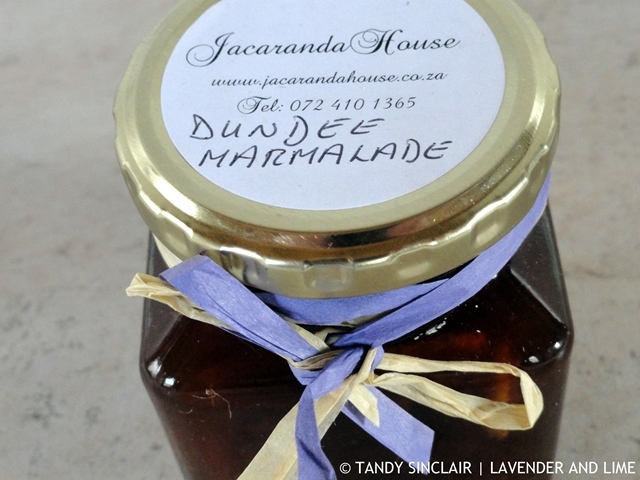 The toffe sounds delicious as does the marmalade. We tried sweet potatoes one year in the garden with no success. Maybe it’s time to try it again. 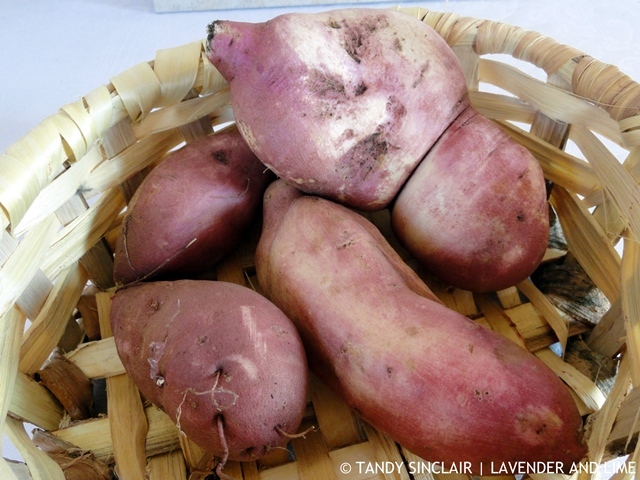 I’ve never tried growing sweet potatoes although they are a favorite. Do they take up much space in the garden or require a lot of water? Scones look delicious. Wow, I love the idea of that salami – I’ll bet it tastes great. Hi Tandy, what wonderful things you have in your kitchen this month. Lovely scones and that toffee sounds soooooo good! Looks like you’ve got some tasty stuff in your kitchen and some great books to keep you busy. The books are keeping me very busy! Oh Tandy – I wish I was in your kitchen! 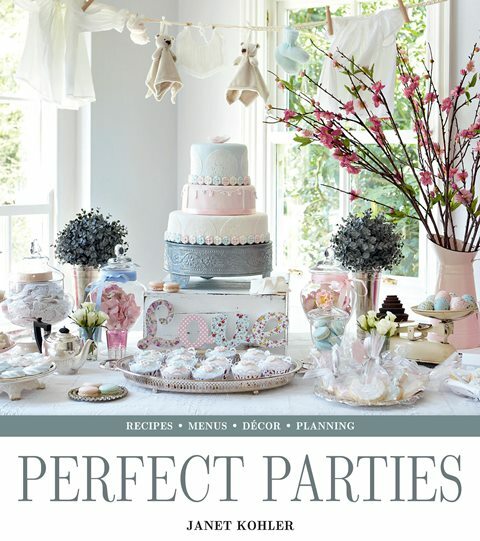 That marmalade sounds delicious and I need a copy of The Perfect Parties book! The book might be available internationally? 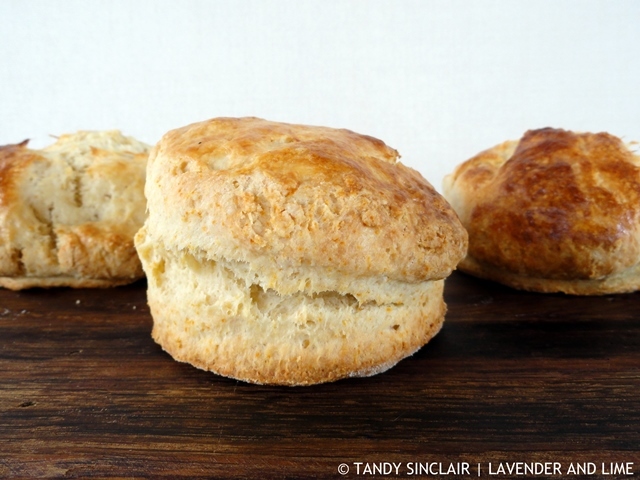 Those buttermilk scones look absolutely divine! SO suited for various occasions. And what a lovely good bag! 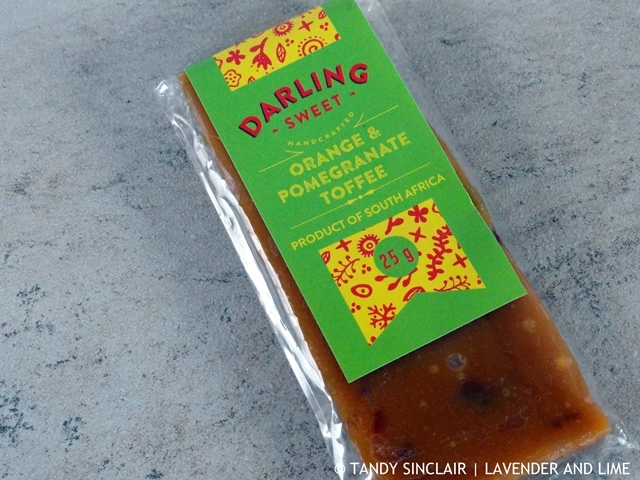 The toffee has won my heart ~ would love to sample. How delectable. Goody bags are so fun, I guess it’s time to raid my kiddos Halloween candy bag to sooth myself, Ha. Ha ha, won’t they notice if you raid their sweets Laura? A very bountiful kitchen indeed Tandy. I know you’re testing the recipes but the cover of that Perect Parties book looks wonderful. How wonderful to be growing your own sweet potatoes Tandy!! Mmm I’m a sucker for a good scone, might have to give Celias a try!